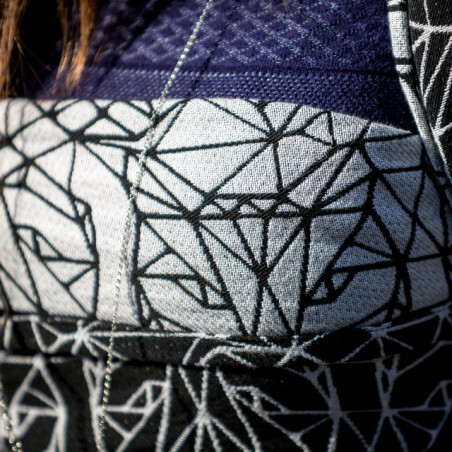 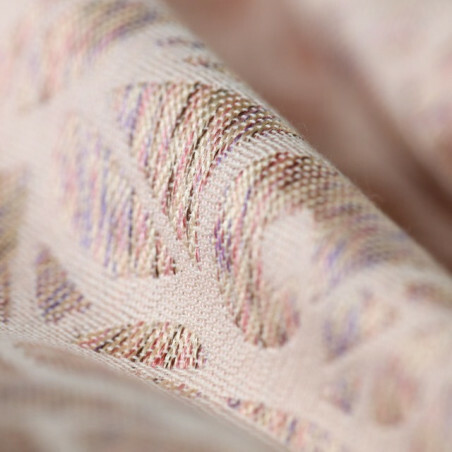 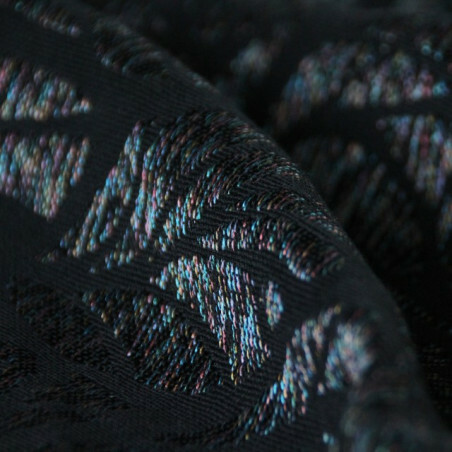 Dark navy, grey and crispy white, woven in our signature raspberry weave, result in a very unique wrap. 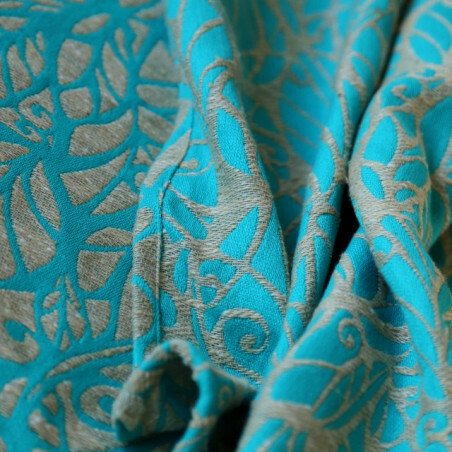 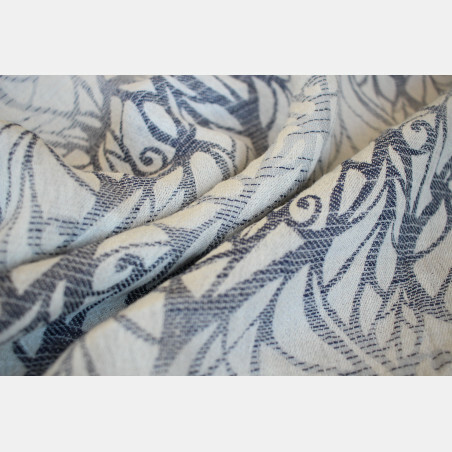 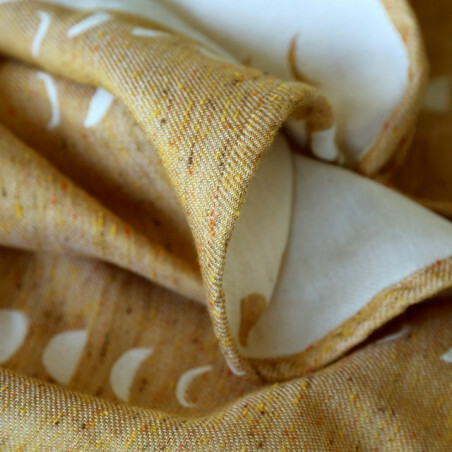 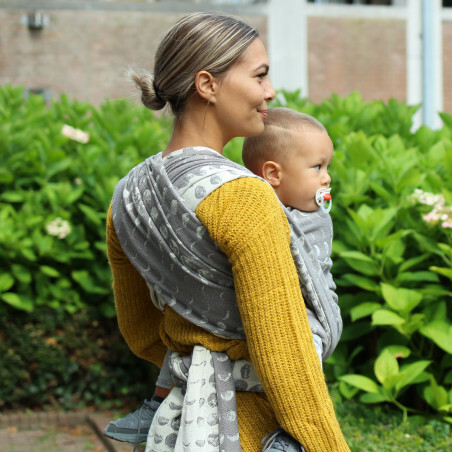 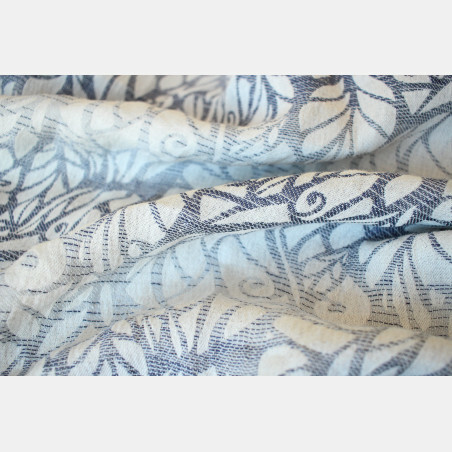 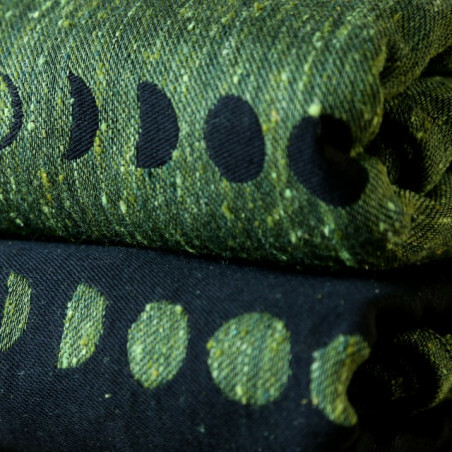 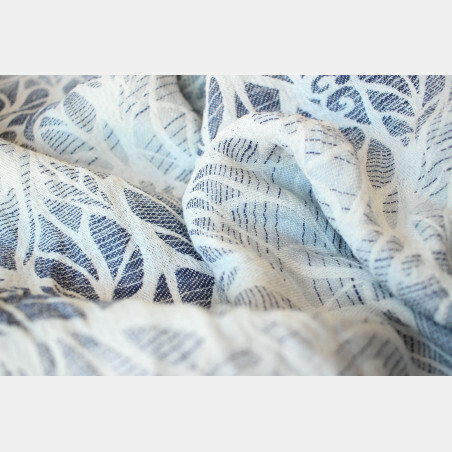 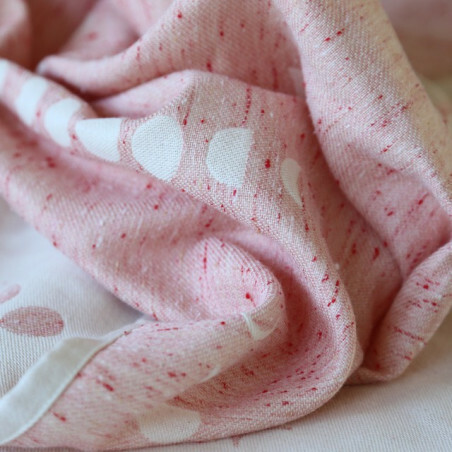 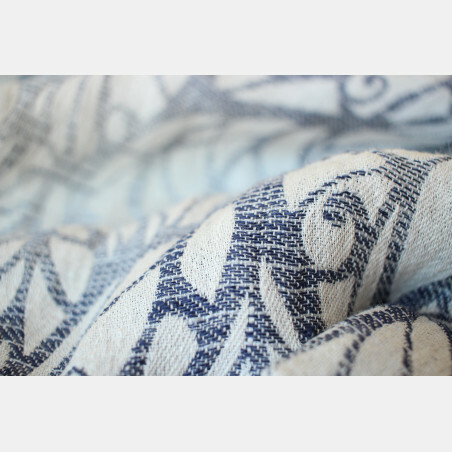 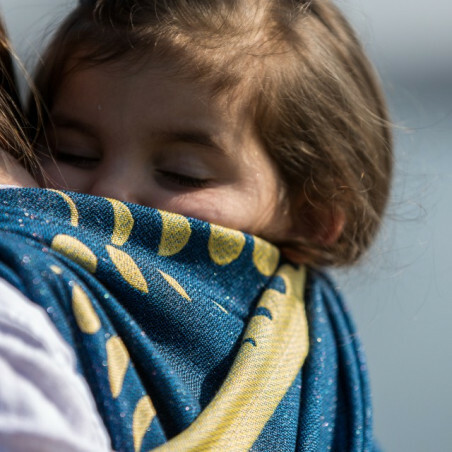 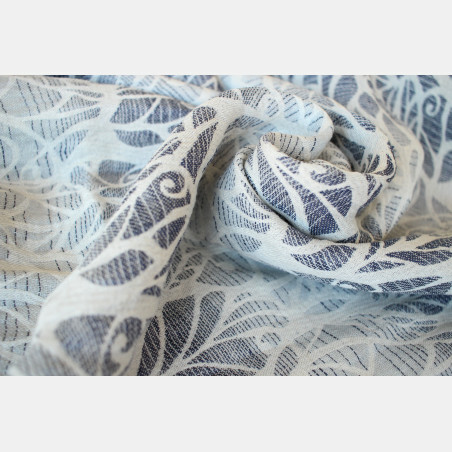 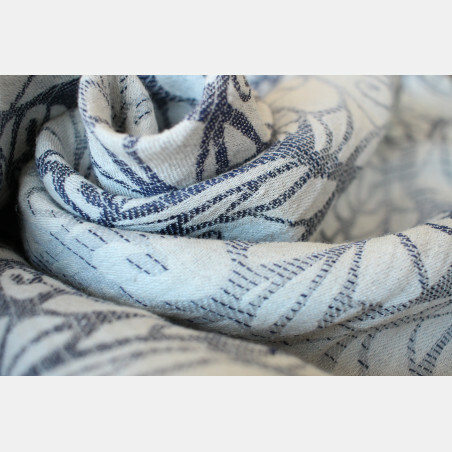 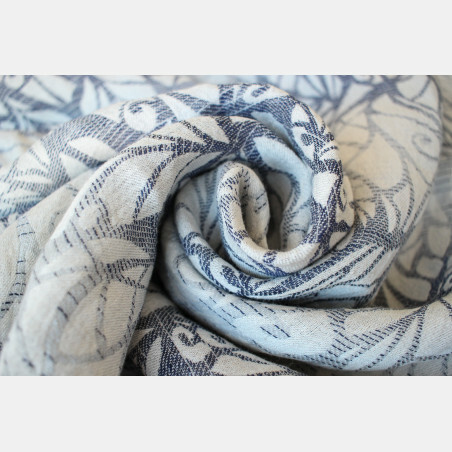 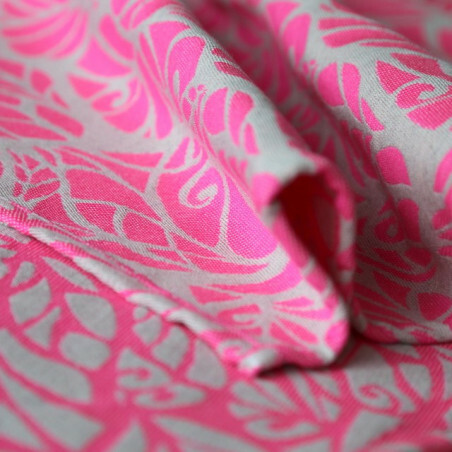 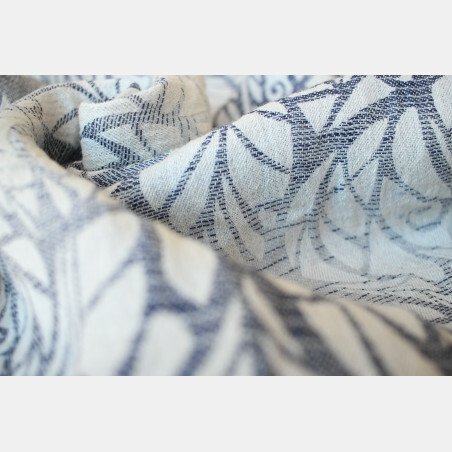 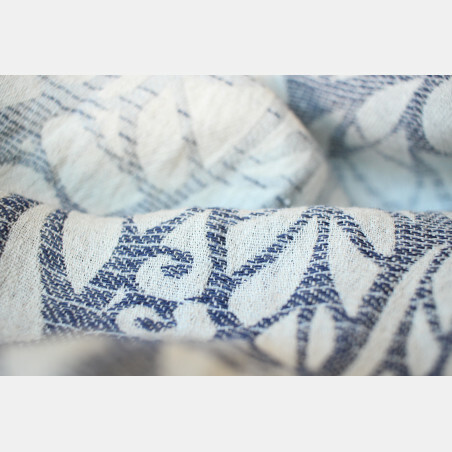 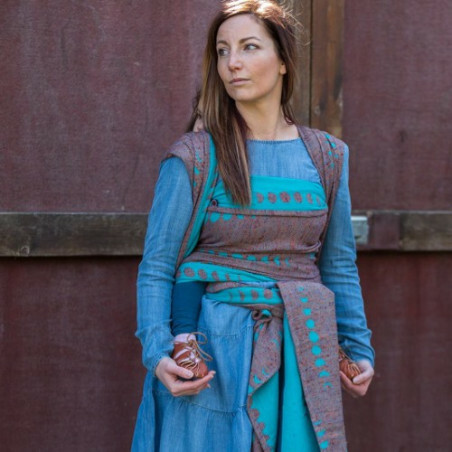 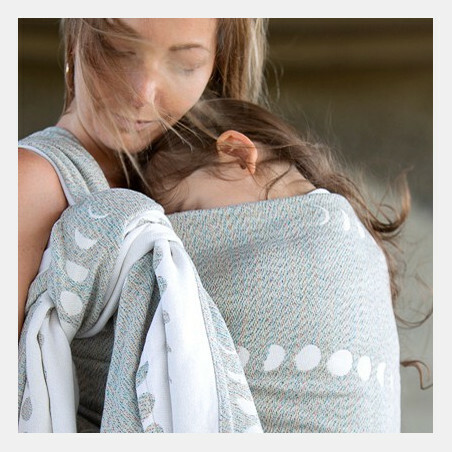 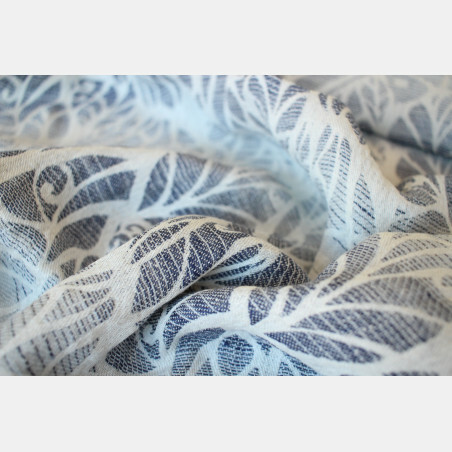 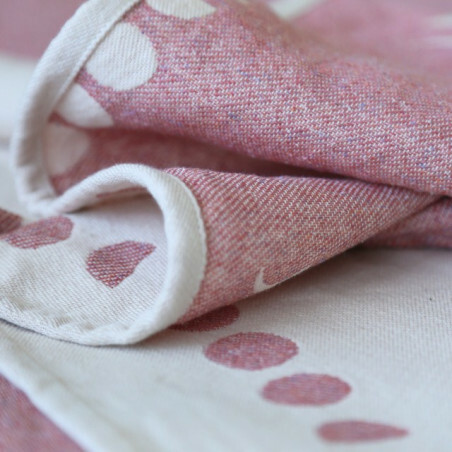 A combination of linen and natural bamboo gives this wrap a cool, light and airy feeling. 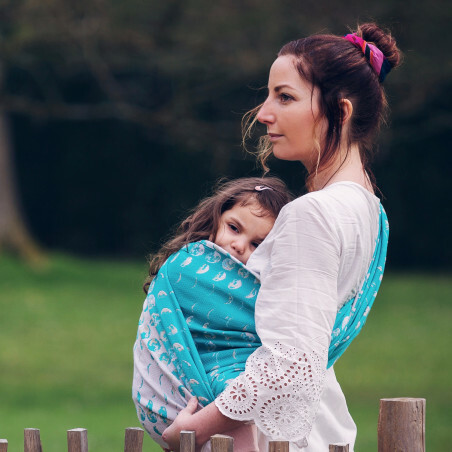 Amazingly supportive and with a fierce grip - this will not move a bit when wrapped. 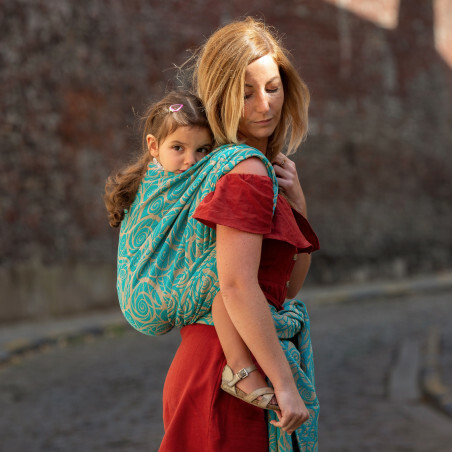 The wrap does require a moderate breaking in period. 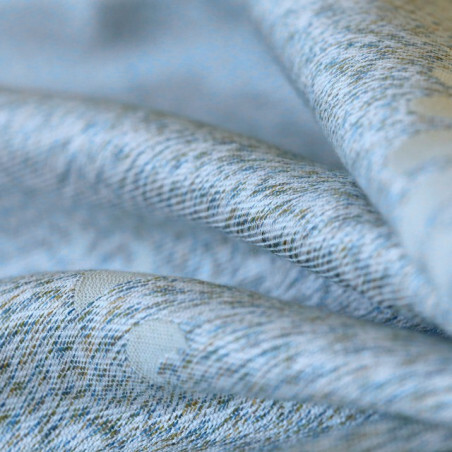 A proper steam iron when the material is still damp after the wash will help you on the way. 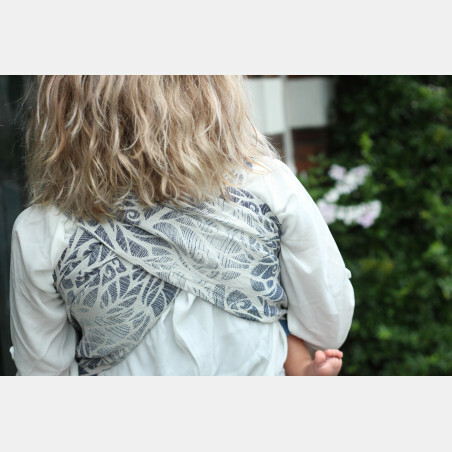 This wrap is machine washable at 40 degrees Celcius. 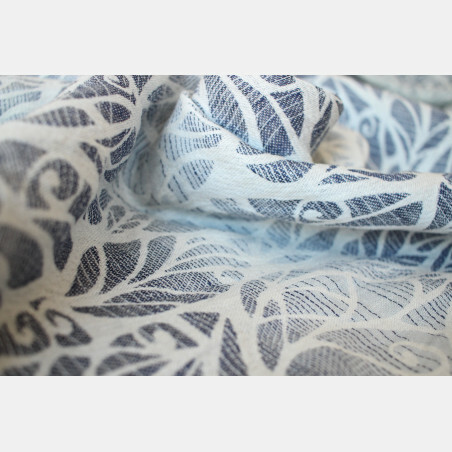 We recommend a maximum of 800 rotations to prevent permanent linnen crease in the wrap.